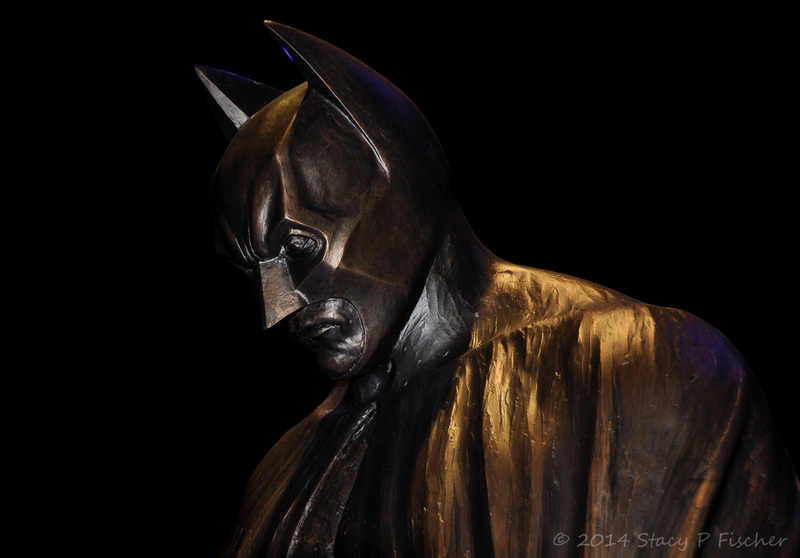 This summer, Warner Bros. Studios in Burbank, California opened a Batman Exhibit celebrating the Caped Crusader’s 75th Anniversary, and my daughter and I got a chance to see it and other fun sites on a behind-the-scenes Studios tour. Riding through the backlot, we saw and walked through locations used to shoot scenes from such classic movies as The Music Man, Annie, and Casablanca to the more recent Ocean’s 13, Spiderman, and Argo (to name just a few). 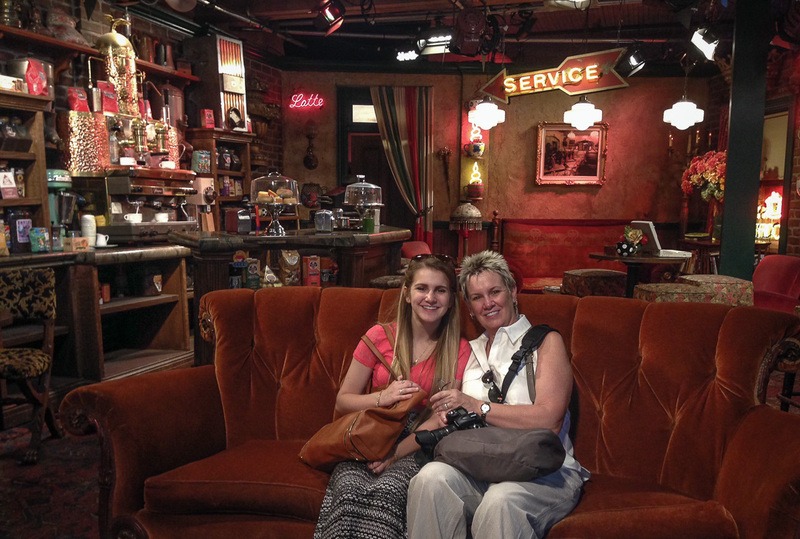 We also walked through television soundstages for Pretty Little Liars and The Big Bang Theory and had our picture taken on the set of the Central Perk coffee house from the old TV series, Friends. Our tour also included a stop at the Warner Bros. Museum, where costumes and props from many recent Warner Bros. productions are on display, including the Dark Knight trilogy. For Harry Potter fans, the second floor of the museum houses costumes and props from each of the films. Popular among second-floor tour-goers was the opportunity to be “sorted” by the famous “Sorting Hat.” Why I was sorted into Slytherin, I’ll never know, but it provided a good many laughs for me, my daughter, and luckier-sorted onlookers. We were not allowed to take photos in the Museum, but we were allowed to use our cameras in the Picture Car Vault, part of the Batman Exhibit. The Vault, dressed up as the Batcave for the Exhibit, houses a number of iconic Bat vehicles (and, yes, all are in working and running condition) as well as the Bat-signal. The lighting within the vault was minimal and I did my best to capture what I could. All these shots are handheld. In keeping with the atmosphere of the Vault, I chose to process the files as low-key images. 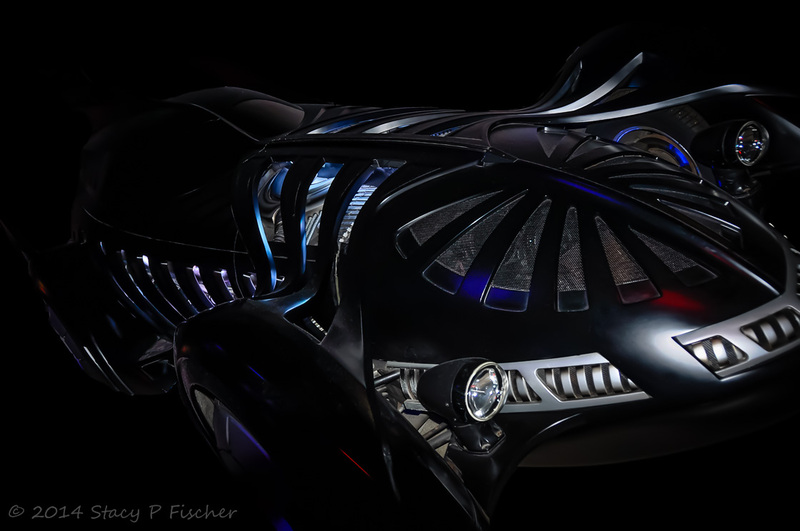 Batmobile: Batman Forever -1995. Intricate vent work in the body’s design was indirectly lit so it appeared to glow blue on screen. Fun fact (among many) that we learned on the tour? Stage 16, one of the tallest sound stages in the world, has an in-ground tank with a two-million gallon capacity. The tank was used to shoot the awesome ocean scenes in The Perfect Storm and is so large that the movie’s director had to ride in a dinghy to the middle of the tank to talk to the actors who were on a replica of the ill-fated boat. Apparently, being tossed and turned on this floating movie set was not a great experience for actor Mark Wahlberg – he lost many battles to motion sickness for a good portion of the shoot. 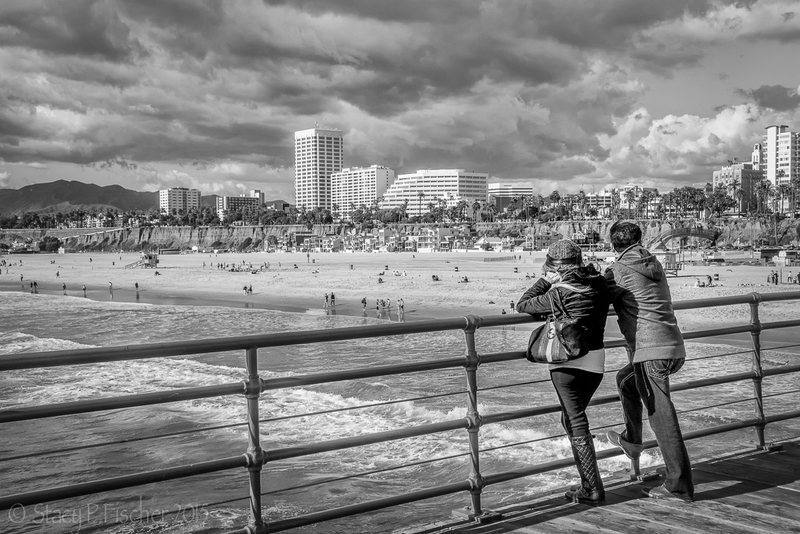 This entry was posted in Art, California and tagged Bat-signal, Batman, Batmobile, Central Perk, low-key photos, photography, Warner Brothers. Bookmark the permalink. Jealous 🙂 Great shots of the batman props, really effective. 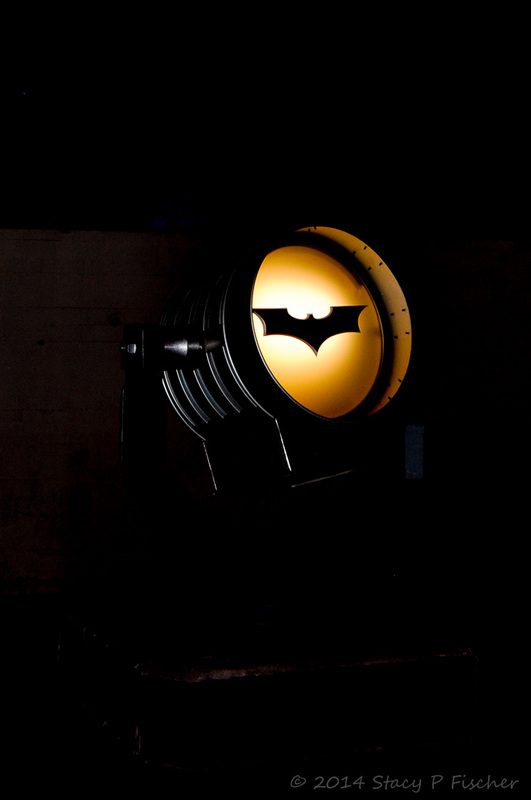 I particularly like the bat signal. I am also jealous of you sitting in Central Perk!! Central Perk was definitely a highlight 😀 Thanks, Karen! Love the recap of your day here Stacy, and you and your daughter looked great on the sofa. I loved Friends, and I love Batman, anthough Michael Keaton was by far the best Batman. Something I’d live to do if I ever make it out that way. Shane, I LOVE that you thought Michael Keaton was the best – I’ve been a huge fan of his for decades and thought I was one of the few who loved his portrayal. So, ha! Good to know I’m not alone 🙂 And it was a great sofa, by the way 😉 Thanks for stopping by! He’s such an unlikely superhero, but he’s a crazy brilliant actor. I can’t believe he seems to basically not have a career anymore… unless he’s on Broadway or something. And have you seen Gung Ho? It’s from the 80s, but the movie is fantastic. 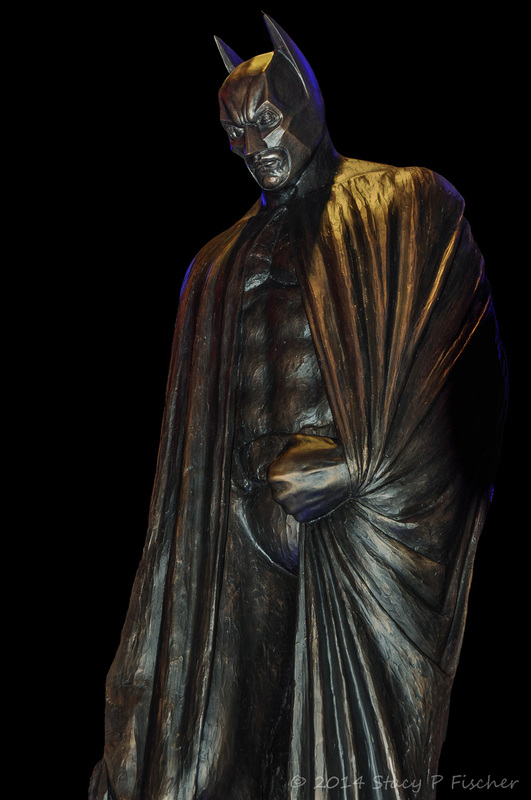 I love batman, Although I am apprehensive about the new batman vs superman film. Great pictures and a lovely journal entry of a great day. Thanks, Ben! I didn’t know about this upcoming movie. When is it slated to be released, do you know? It was announved last year at comicon and I think it is either next or the year after. Well, I hate Batman but that ‘s a great picture of you in that famous sofa Stacy! Love the couch shot from Central Perk. When you said it, it was immediately obvious. The exhibition looks like great fun! Oh, now that is indeed an interesting bit of trivia !